JBJ OCEANSTREAM OS1 - CIRCULATION PUMP 1,600 GPH. JBJ introduces the new OCEANSTREAM™ circulation pumps equipped with magnetic holders and articulating pivot ball. These revolutionary pumps use a unique PaddleDisc™ impeller that diverts water to the perimeter of the housing unlike traditonal propeller based pumps. This ensures maximum “random flow” in wide circular currents that provide gentle water movement without harming corals located directly within its path. You can choose from our NANO OCEANSTREAM (500 GPH) for smaller aquariums or our original OCEANSTREAM (1600 GPH) for aquariums up to 100 gallons. 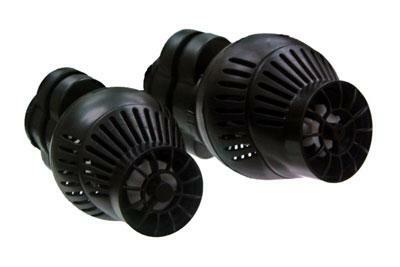 Pumps are ideal for fresh or saltwater aquariums. All models include our powerful magnetic holders that securely position the pump without the worry of unreliable suction cups. OCEANSTREAM circulation pumps are definitely compatible with our OceanPulse Wavemakers that allow you to configure alternating cycles from 10 seconds to 6 minutes. We are a Dealer/Reseller of the Transworld Aquatics Line of JBJ Products. For warranty information please contact us and we will fwd you to the correct place. Most of their products carry at least a 1 year warranty.